The Woodland League is a not-for-profit, independent, community-based, non-denominational and non-political organisation. 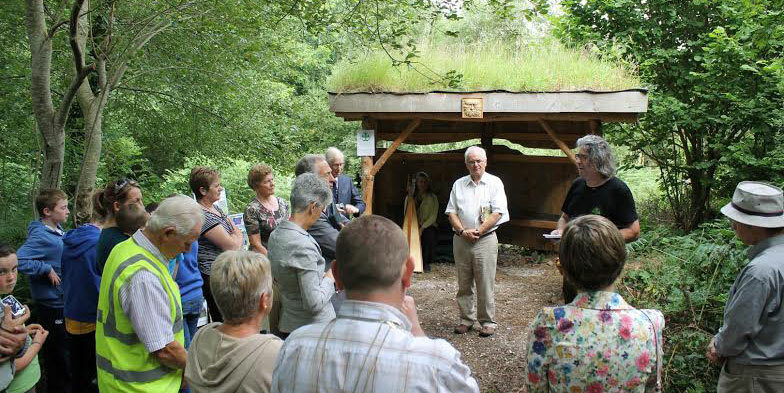 Our aim is to restore the relationship between people and their native woodlands. We support the philosophy underpinning Agenda 21, the blueprint for a sustainable future agreed by 176 nations at Rio De Janero in 1992. This concept calls for the balancing of man-made systems and natural eco-systems. We are also guided by the Brehon law system of Ireland, which along with other ancient & indigenous people’s systems are the projenitors of this new wave of ecological thinking. The outdated model of development, which is still being followed, can not deliver a sustainable future for this planet. Agenda 21 provides a framework to create new models for sustainable development sorely needed at this juncture in time. The Convention on Biological Diversity 1993, to which Ireland is a signatory, states that native forests must be granted highest priority for protection, conservation and enhancement. All stability in nature, of soil, air and water is conferred by native trees. The native trees of any place are nature’s highest achievement in the plant kingdom. We are helping communities become aware of their rights and entitlements under Agenda 21, to clean air, soil and water via increased native woodlands. We hold walks and talks throughout the country promoting native woodland heritage and actively lobby to change Irish forestry policy.